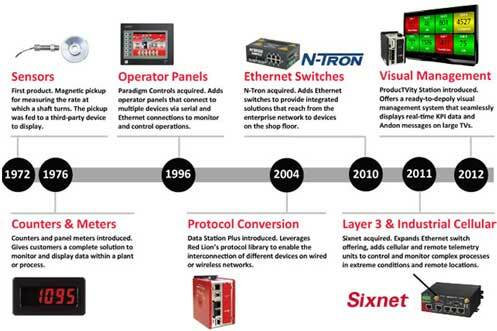 As the global experts in communication, monitoring and control for industrial automation and networking, Red Lion has been delivering innovative solutions for forty years. Our award-winning technology enables companies worldwide to gain real-time data visibility that drives productivity. Product brands include Red Lion, N-Tron and Sixnet. With headquarters in York, Pennsylvania, the company has offices across the Americas, Asia-Pacific and Europe. For the convenience of our customers living outside the US, our international offices are located in the Netherlands, India and China. All operations are growing rapidly, and work with our international distributors to keep customers supplied with Red Lion products across the globe. While European and Asian sales are handled from these offices, market development in Central and South America, Middle East, and the African continent is coordinated out of the York, Pennsylvania headquarters. at Red Lion Controls, Inc.